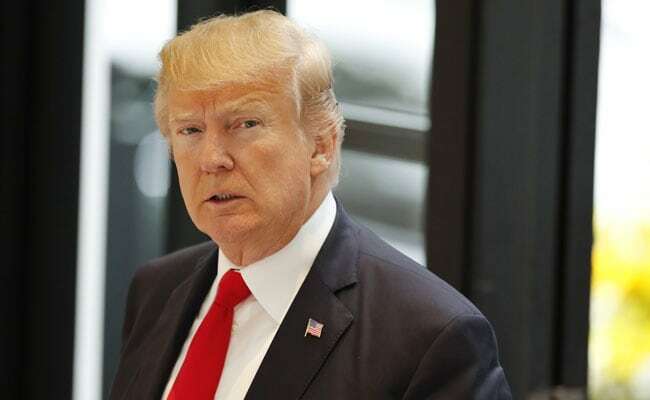 "All nations must deny terrorists financing, territory, and any form of ideological backing," US President Donald Trump said in his speech, which could have a direct implication on Pakistan. Washington: The US will not tolerate the use of chemical weapons, President Donald Trump said on Tuesday while asserting that all nations must deny financing and the use of territory and ideological backing to terrorists. In his closed door address to the East Asia Summit, which among others was attended by Prime Minister Narendra Modi, President Trump told leaders to address four security challenges - North Korea's nuclear and ballistic missile programmes, unresolved disputes in the South China Sea, terrorism and several humanitarian crises - to achieve the goal of a free and open Indo-Pacific region, where strong, sovereign and independent nations control their own destinies. Observing that North Korea's nuclear and ballistic missile programmes threaten the entire world, he called on all nations to join the US in ensuring the complete, verifiable, and total denuclearisation of the Korean Peninsula. "We must continue to implement UN Security Council sanctions, cut off all ties of trade and commerce, end all guest worker flows, and curtail diplomatic ties," he said. A rogue regime that threatens the world with nuclear devastation has no place in our community of sovereign nations, including in the ASEAN regional forum, President Trump said. He said ensuring regional security will also require all nations to respect freedom of navigation and overflight, and other lawful uses of the sea. "I remain concerned about China's efforts to build and militarise outposts in the South China Sea. The United States supports the peaceful resolution of all territorial disputes," Donald Trump said in his remarks. He provided a copy of his prepared remarks to the White Hose reporters travelling with him aboard Air Force One on his way back home from Manila at the conclusion of his nearly two-week trip to Asia, with stops in Japan, South Korea, China, Vietnam and the Philippines. The US is closely monitoring the spread of extremism in the Southeast Asia and the growing threat from terrorist groups, including those affiliated with ISIS, he said. "As ISIS loses ground in the battlefield, we must remain vigilant about the threat posed by returning foreign fighters and terrorist operatives - within our borders, and seeking to cross our borders," he told the world leaders. He congratulated the Philippines for liberating Marawi from the grip of ISIS-affiliated terrorists earlier this year - a victory that the US was glad to support. "All nations must deny terrorists financing, territory, and any form of ideological backing," President Trump said in his speech, which could have a direct implication on Pakistan. The US President concluded his speech by discussing the issue of Rohingya Muslims. "In Myanmar's northern Rahkine State, at least 600,000 people have fled their homes following attacks by vigilantes and security forces," he said. PResident Trump said the US supported efforts to end the violence, to ensure accountability for atrocities committed, and to facilitate the safe and voluntary return of the refugees. "We welcome the commitments by the government of Myanmar, and we are ready to support the implementation of the Rahkine recommendations," he said. Trump said the US also remained deeply concerned about the use of chemical weapons by state and non-state actors. "This year, we have tragically seen chemical weapons used by the Syrian regime and by North Korea at the Kuala Lumpur airport. Through our actions and our words, the United States has made clear that we will not tolerate the use of these horrific weapons," he said. Alongside Singapore, the US has proposed that all members of the East Asia Summit adopt a statement reaffirming their commitment to the elimination and non-proliferation of chemical weapons, Trump said. "The United States is committed to engaging with nations across the Indo-Pacific region in a way that affirms their sovereignty, maintains their independence, promotes selfreliance, and advances their prosperity," he said.